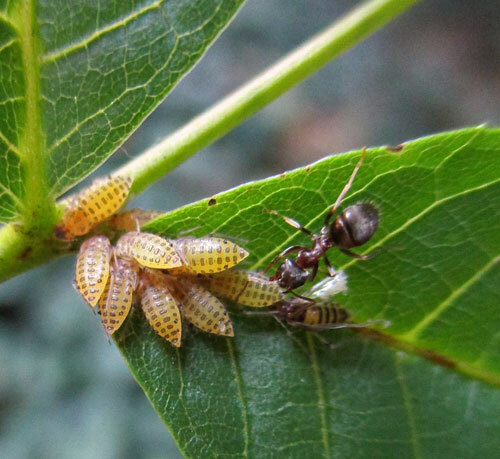 characteristically, the aphids live on the upper side of the leaf, in a line on a major vein, the head turned towards the petiole. 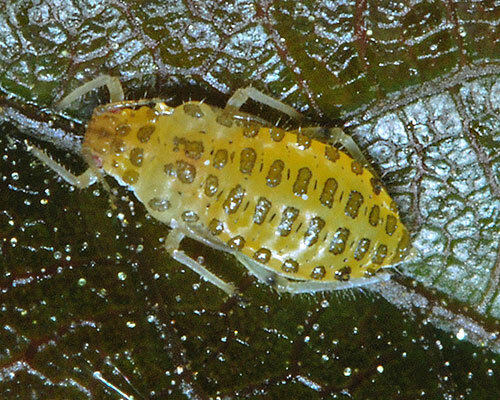 Winged aphids have a dark seam along the veins and the wing tip. 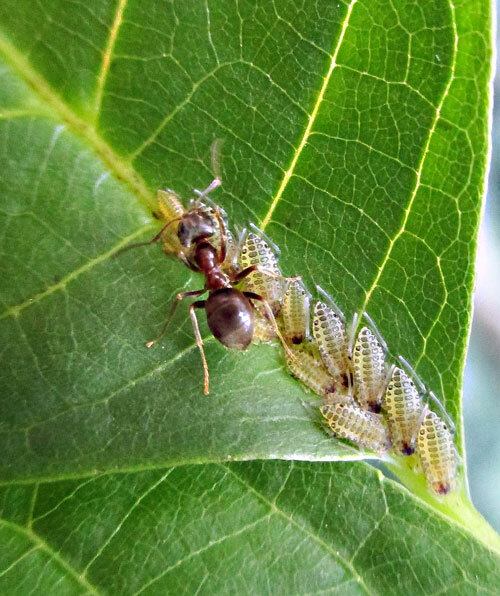 They are often attended by ants. Barbagallo, Binazzi, Pennacchio & Pollini (2011a), Barbagallo & Massimino Cocuzza (2014a), Blackman & Eastop (2014), Börner & Franz (1956a), Buhr (1964b), Fremlin (2017a), Heie (1982a), Hellrigl (2004a), Kollár (2007a), Lampel & Meier (2003), López Rodríguez & Nieto Nafría (1983a), Mier Durante & Nieto Nafría (1981a, 1997a), Nieto Nafría, Carnero Hernández & Mier Durante (1977a), Nieto Nafría & Mier Durante (1981a, 1998a), Osiadacz & Wojciechowski (2008a), Pérez Hidalgo, Martínez Peláez & Nieto Nafría (2001a), Petrović (1998a), Ripka, Reider & Szalay-Marzsó (1998a), Stroyan (1977a), Suay Cano & González Funes (1998c), Wieczorek & Kanturski (2011a), Wojciechowski, Depa, Halgoš ao (2016a).